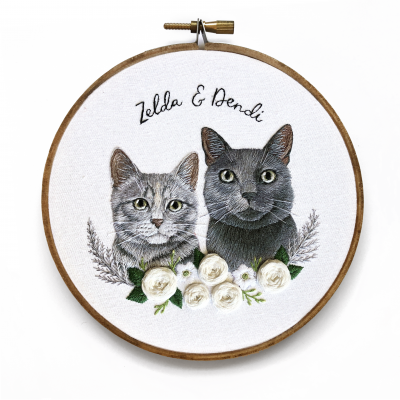 The perfect gift for the pet lover in your life, whether it be you, or a friend! These custom pet portrait embroidery hoops are also a great way to honor a beloved pet that has passed as a memorial. 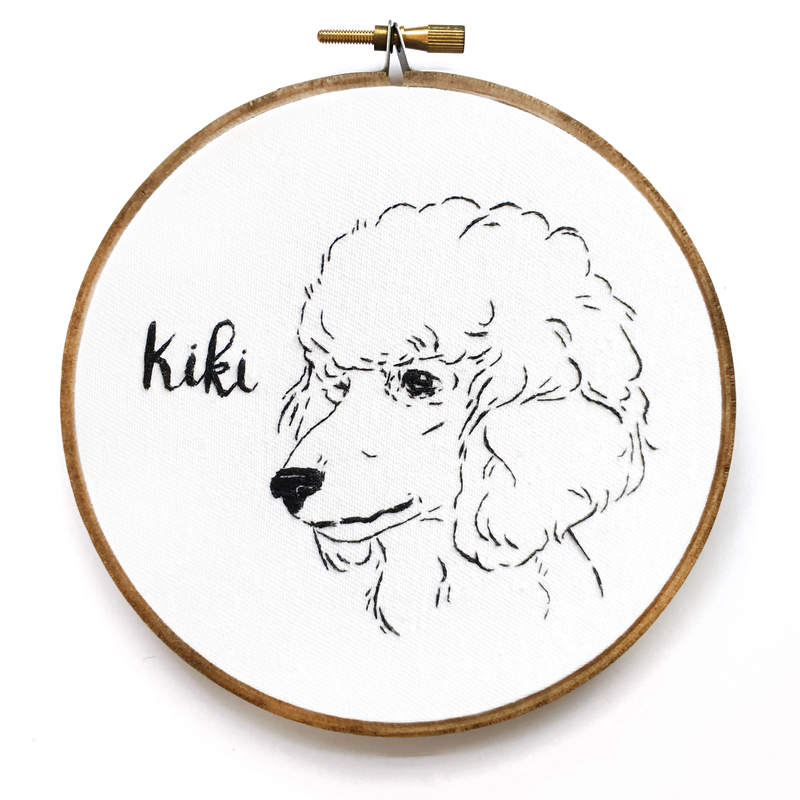 Embroidery Hoop Size Choose an option5"6"
This listing is for a standard embroidery portrait of your pet. That includes the pet and their name. • Use the drop-down menu on the side to select which size hoop you’d like to buy and what variations you’d like and add the item to your cart. • After receiving photos and your ideas, I will send you a sketch as a proof (a sketch can be done before ordering, too!). You will need to approve this sketch before I can begin stitching. • Turnaround time is currently 4-8 weeks! I will send you a photo once I’m done and if everything looks good then I’ll ship it out! 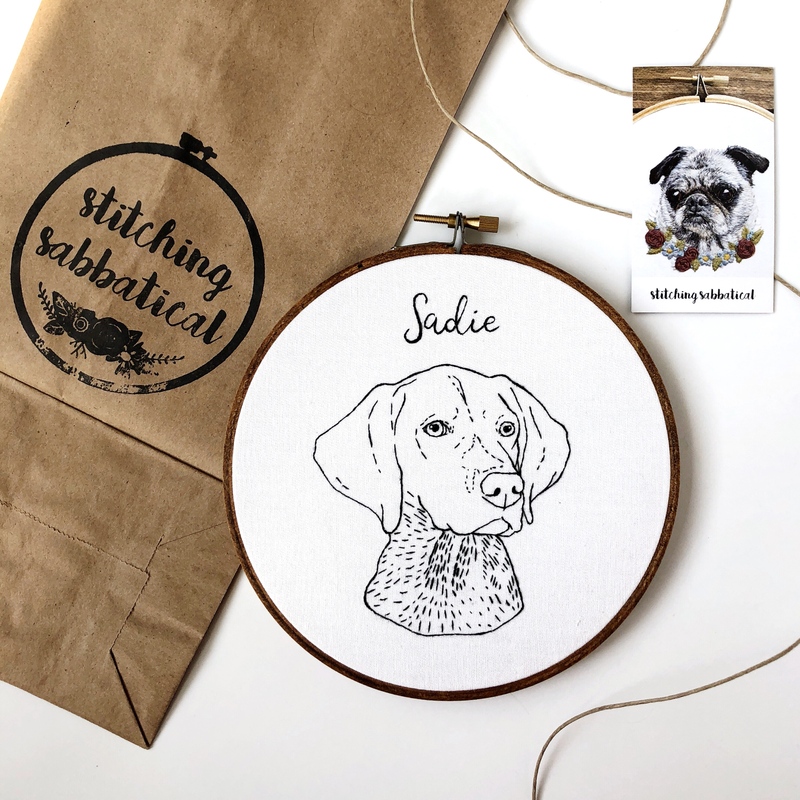 Please understand that while I do aim to have your embroidery completed by the shipping date, sometimes there are delays due to issues with other orders. 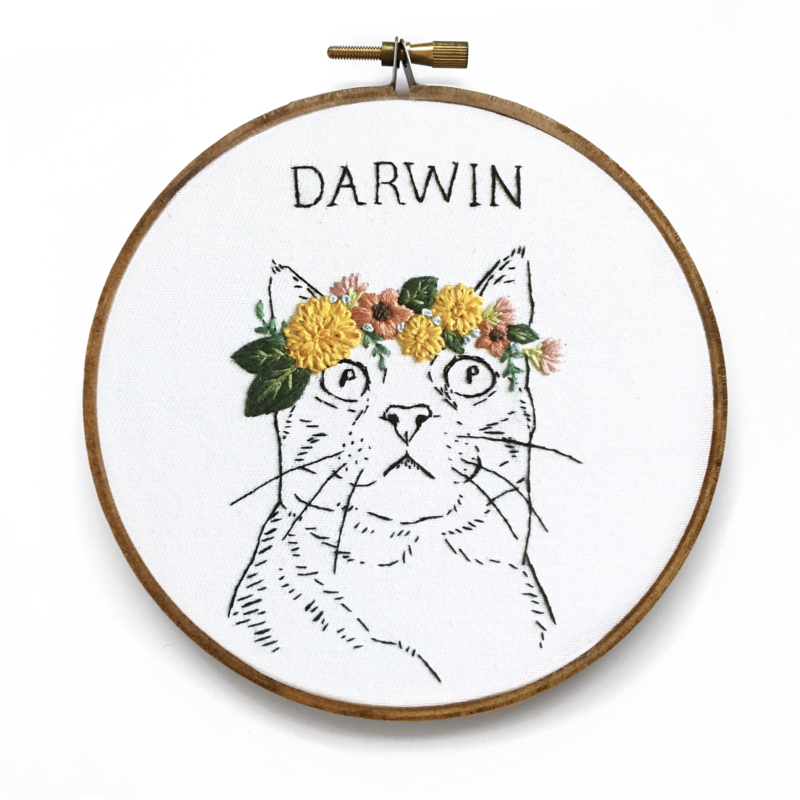 • Embroidery hoop color will be chosen to accent your pet portrait best unless a specific stain is requested (honey, warm brown, dark oak). • If a hoop is selected, your embroidery will arrive in its hoop, with a finished back. All you need to do is hang or prop it up! 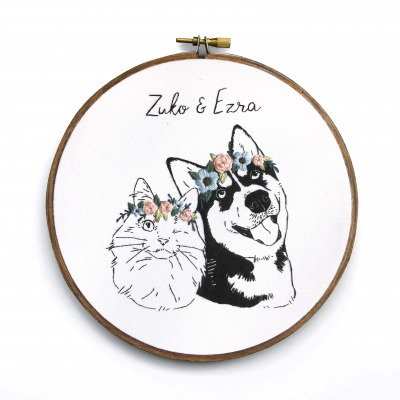 • My designs are 100% hand embroidered, and each one is unique. • Designs are embroidered on high-quality cotton fabric. • Colors may appear slightly different from computer monitors to the actual hoop. Items are made in a smoke-free, pet-friendly environment. Before shipping each one will be lint rolled! Any more questions? Check out the FAQ page or read about the shop policies!